The Gatorade Free Flow Tour today announced the complete schedule for the 2012 winter season. In its third year, the Tour offers up-and-coming amateur freeski athletes 21 and under the chance to earn a pre-qualified spot for the 2012-2013 Winter Dew Tour. Leading with slope and pipe contests at Vail Resort in Vail, Colorado, the circuit will hit 8 resorts for a total of 14 contests. Registration for all events is now available at http://www.gatoradefreeflowtour.com. The Gatorade Free Flow Tour will showcase the top amateur winter athletes competing in freeski slopestyle and superpipe. Freeski disciplines will be open to both men and women. The&nbsp;2012 schedule includes resorts spanning the United States &ndash; the East (2) and West Coasts (3) and the Rocky (3) Mountains. The Tour will host 6 superpipe and 8 slopestyle contests. Open to all amateur freeskiers 21 and younger, registration for the Tour is available at http://www.gatoradefreeflowtour.com. Please note there are limited spots for all competitions, so register early. There is a $20 registration fee for one day of competition and a $30 registration fee to compete both days, which does not include lift tickets. In addition to the main contests, each stop of the Gatorade Free Flow Tour will also include a Junior Jam division, offering separate rail jam and superpipe contests for freeski competitors 13 and under. The Junior Jam will take place prior to each of the Gatorade Free Flow Tour&rsquo;s Open Division competitions, giving young amateurs valuable contest experience. All of the events include both slopestyle and superpipe competitions with the exception of Jackson Hole and Mountain High, where only slopestyle contests will be held. 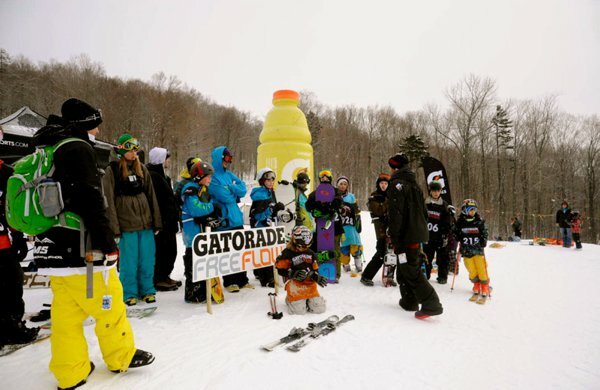 ** Gatorade Free Flow Tour Finals held in conjunction with the Winter Dew Tour Toyota Championship. 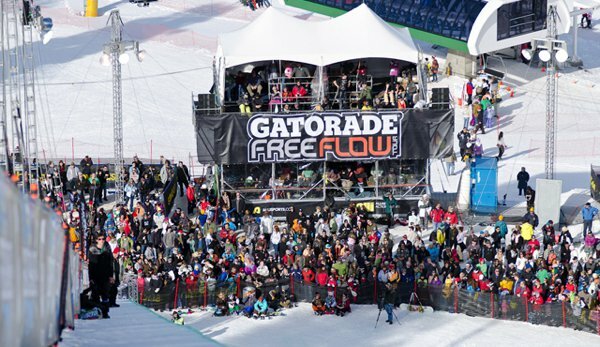 The winners in each of the 14 contests (8 slopestyle and 6 superpipe) will be flown to the Gatorade Free Flow Tour Finals, taking place in conjunction with the Winter Dew Tour Toyota Championship, February 12-13 at Snowbasin Resort in Utah. Encompassing the &ldquo;Flow to Pro&rdquo; theme that is the cornerstone of the Gatorade Free Flow Tour, the two overall freeski superpipe and slopestyle Champions will earn a spot to compete against the pros at the first stop of the 2012-13 Winter Dew Tour the following season. All competitions are open to both male and female amateur competitors 21 and younger for all freeski disciplines. There is a $20 entry fee, and all participants under the age of 18 must bring a parent or guardian to the event to sign a liability waiver, or bring a notarized and signed liability waiver. Contest registration forms, waivers and detailed information are available ahead of time at http://www.gatoradefreeflowtour.com.